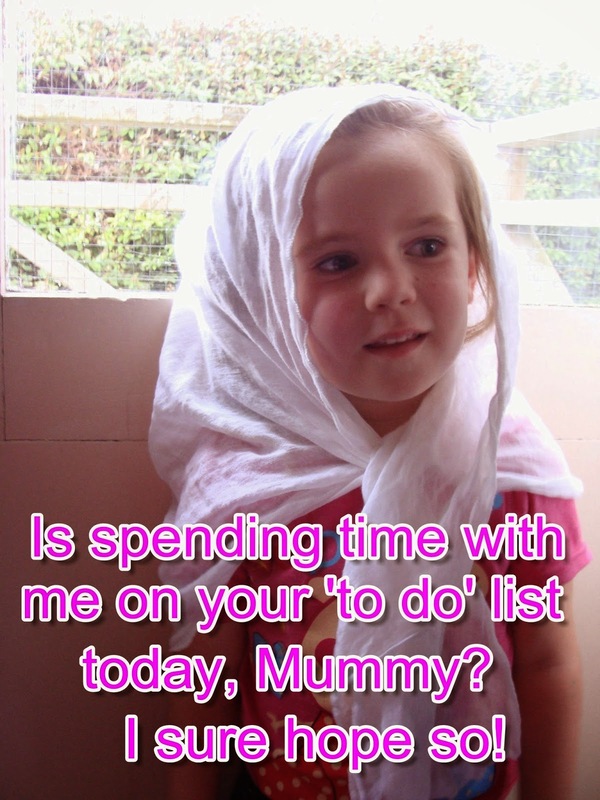 Encouragement for Busy Mums: Nothing Accomplished? Sometimes at the end of a busy day or week, I feel like I've got nothing done. And yet I was busy the whole time. What I really mean is that I got nothing on my 'to do' list done. The deep cleaning, the gardening, the odd jobs etc. Nothing extra done. Often I start to feel that unless I've done lots of extra things, I haven't accomplished anything. Do you have days like that? But I have to remind myself that when I feel like this, I have actually accomplished a lot. Nothing much in the world's eyes, but a lot in God's eyes. Looking after your children, caring for your husband and keeping a house running smoothly with meals on the table is no small thing! While I do need to try and keep a clean house etc. I often get too focused on these things and don't see the value in the 'little' things that take up so much of my day. I wrote this to encourage myself on those days when 'nothing' gets done! (I wrote this awhile back when my baby was teething and wanted to be held a lot. Which meant I didn't get a lot done! :) ) I find it pays to think about what you did do, rather than what you didn't get done. I did take the time to read my children a story. I did sit down with my 4yr old and help her do her 'schoolwork' that she loves to do. I did play a game with my children. I did make time to sit and talk with my husband in the evening. I did prepare him a lunchbox for him to take to work. I did keep the house running smoothly. I did take the time to teach my child how to do something --or let them help me, which takes more time. I did spend time training them. I did give my baby a cuddle when he was unhappy. I did pray for my children and my husband. I didn't get much of a quiet time in the evening, as my teething baby woke up just as I sat down to read my Bible. But I did realize and appreciate how like a mother, the God of all comfort is always there for His children, willing to comfort and help them with their hurts and struggles. I actually got a lot done today! While I may not have gotten any extra things done, I got the important things done.